Ready for some real estate eye candy? 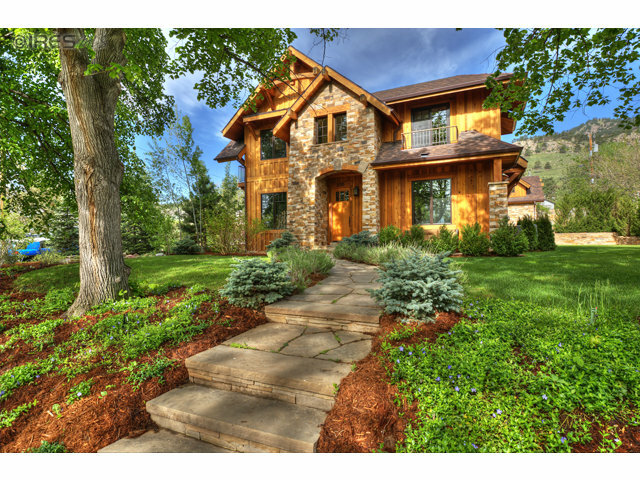 Let's celebrate the New Year by reviewing the most spectacular home sales in Boulder. Before we get started, cuddle up next to the fire with Uncle Osman. Let's talk about a couple of important characteristics of ultra high end homes. When the market is rising, highly desirable properties tend to experience a greater rate of appreciation than mere average properties - far greater. As a consequence, buyers will pay a premium for a coveted piece of Boulder real estate but in the long run, the asset should outperform less desirable (and lower priced) properties. This is the Waterfront Effect, named after a 25 year study on the luxury estate market. Whether for their personal residence or as an investment, most of my clients are savvy and judicious. I find this especially true at the high end. They aren't going to purchase or sell a house worth $2M+ on a whim and they're seeking professional advice on valuation, home selection, and negotiation. 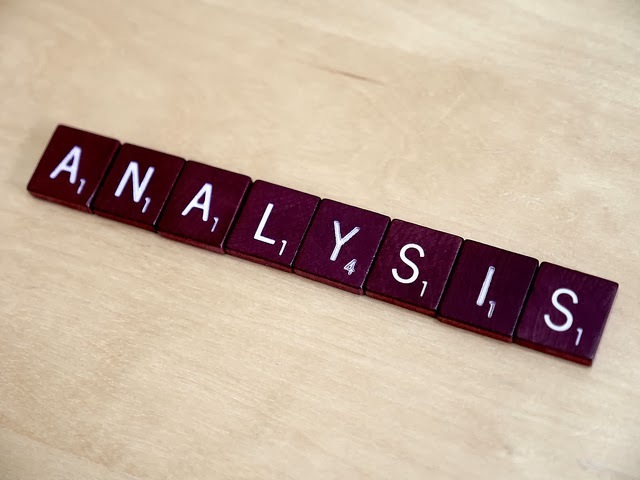 An insider's knowledge of market conditions and an ability to provide an expert analysis is why they choose me. Helping these buyers and sellers get comfortable with valuation usually requires a deep analysis. After going through the process literally hundreds of times, I can tell you that good design, a functional layout, high-end finishes, and decent landscaping are mandatory but not enough. These are not the key drivers of extreme long-term desirability. Proximity to downtown Boulder, unimpeded and protected view corridors, and a property's relationship to open space are what anchors a highly desirably property's market value. The following homes traded during 2013 and in my opinion, were the best of the best. Take a look. 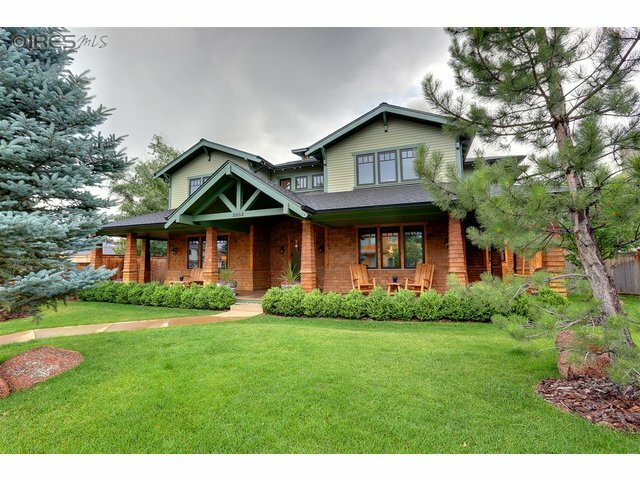 535 Evergreen Avenue is a +6,000 SQFT Craftsman built in 2008 with 6 bedrooms and 7 bathrooms. As Boulderites know, Newlands is a popular neighborhood for families and a short distance to retail, downtown, and open space. Click through the photos and you'll see detail that is very Colorado - rugged stone, natural wood, and earth tones throughout. You'll also see excellent indoor/outdoor transitions and beautiful, mature landscaping. At this price bracket, it's important for the interior of the home to flow towards outdoor patios for entertaining and living. It closed for $2.2M on August 8. 505 Geneva Avenue is a contemporary beauty designed by architect and former City Council candidate Fenno Hoffman as his personal residence. Naturally, an accomplished architect will want to turn his own home into a showcase for his talent and clicking through the pics should impress you. The house features endless custom touches over 6,731 SQFT and 6 bedrooms. It also strongly checks the box for location with exceptional open space - Chautauqua and Flagstaff Mountain - just steps away. On the market for a single day, it sold for $2.3M on February 22. 1950 Norwood Avenue maximizes the potential of its location by framing eye popping flatiron views from several vantages, indoor and outdoor. With an acre+ size lot, it's worthy of being called "trophy estate." A few of the rooms in this luxurious abode could use updating but that didn't stop a buyer from jumping on it. That's the magic with a home designed around stunning views. This private 8,000+ SQFT retreat was only on the market for only 14 days before receiving an offer. It sold for $2.3M in October. Homes on Alpine, Balsam, and Panorama are sitting on a butte-like formation in the heart of Boulder. 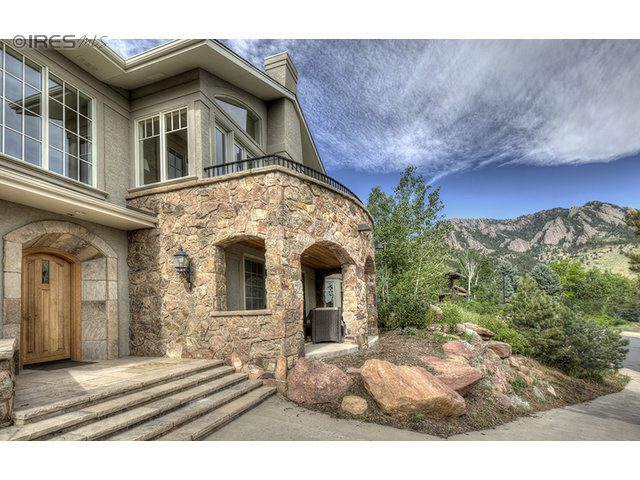 Many of these homes feature stunning, unobstructed views of the Flatirons and downtown Boulder. 2052 Alpine Drive isn't one of them. Sure it has Flatiron views, but the home itself wasn't built to frame the view. Don't get me wrong, it's still a gorgeous house. Check out the pictures for the wow factor. You'll see it radiates a combination of beautiful design and attention to detail from the moment you walk in the door. The indoor outdoor transitions and it has beautiful landscaping, plus it's walking distance to the heart of downtown. Still, if it were my buyer we would have engaged in a lengthy discussion over the lofty valuation. It sold for $2.35M and went under contract in 20 days. 2060 Stony Hill Road - is a gorgeous 4 bedroom, 5 bath contemporary home. As one of the last constructed in desirable Devil's Thumb, this beauty is surrounded by open space with private trail access steps from the front door. Again, note the combination of rugged materials and earth tones in the listing photos. Nearly every room in this exceptional 5,195 SQFT gem features mind blowing views and thoughtful design. It sold for $2.35M in August. The property sold for $2.45M in April (full asking price) and the buyer paid cash. 3755 Spring Valley Road - Head up Linden Drive and you'll find an enclave of high end trophy homes, nestled together. 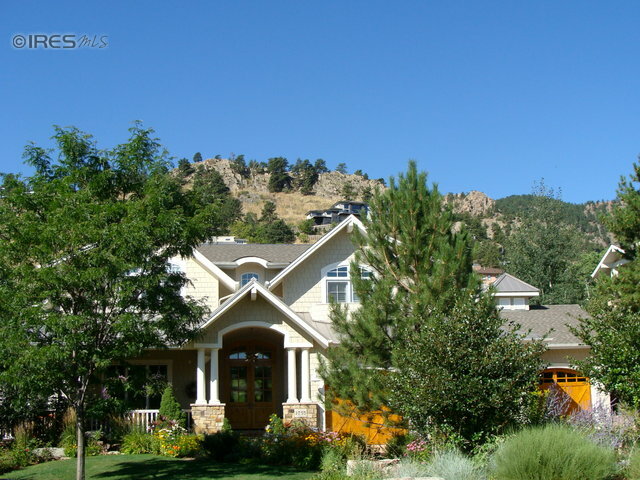 Most have views overlooking Boulder and it's a short drive to downtown. Flip through the photos and you'll see a traditional design, with covered porches and other time tested design elements. It comes from a school that understates the exterior and wows you on the inside. In other words, it's not built to impress the neighbors. It actually reminds me a bit of a high end houses on Nantucket - a market with a median price about 3x Boulder. This house is about 7,000 SQFT (with five bedrooms and six baths) on a beautifully landscaped 20,000 SQFT lot. The estate sold for $3.15MM in June after only 17 days on market. 3639 21st Street. This trophy home is an art gallery; rough hewn stone, natural earth tones, exposed post and beam. The finishes and fixtures you'll find in this home speak of craftsmanship and exceptional taste. The previous owner had a serious commitment to alternative energy. Take a closer look. The roof tiles are actually solar (no panels). The house also featured a geothermal heating system and a heat recovery ventilation system. The structure is a 6 bed, 6 bath abode with a 5 car garage constructed in 2008. It's about 7,400 SQFT in size on a lot of nearly 30,000 SQFT. In October, it fetched $3.4MM and was on the market for only 9 days. 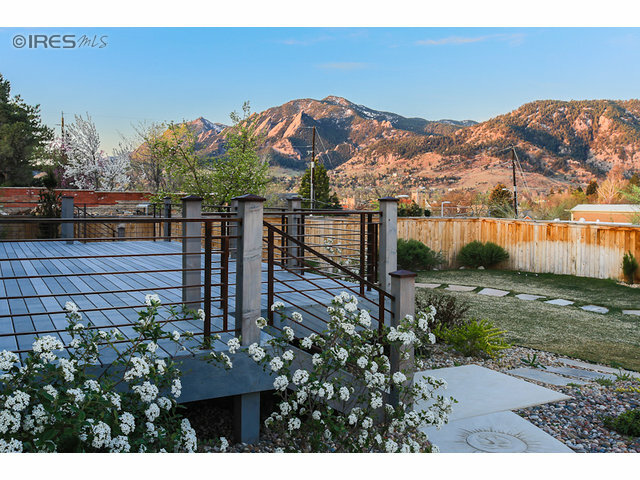 2115 Meadow Avenue - It's hard to imagine properties of this caliber in the center of Boulder. Inside and outside this exceptional home, you'll find stunning design and attention to detail. Built in 2010, the 7,400 SQFT home features six bedrooms and five baths constructed on a 30,000 SQFT lot. It includes a 1 bedroom apartment above the garage. Take a look at the pics. Everything in this home speaks of sophisticated design and quality. Even the built ins are eye catching. A hallmark of higher end homes is the ability to seamlessly blur the transition between interior and exterior with fixtures designed to bring the outdoors in. I'm not crazy about the location, but the designer of this one nailed it. The property sold for $3.55MM in July after only six days on market. 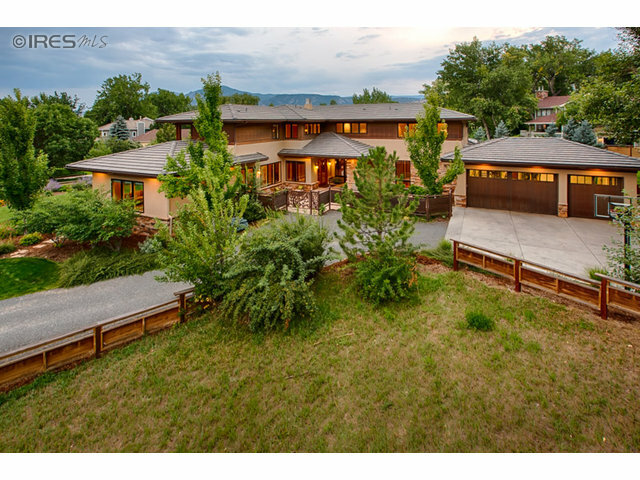 1002 Mapleton Avenue - This is simply the best location in Boulder. If Gatsby were alive today (or real, for that matter), this eye popping trophy might have been his choice for lavish parties. Can't you just imagine the rip roaring 20's soiree you would host along that swimming pool? Go ahead, ogle the pics. Everything has been updated and finished to the highest possible level during a recent remodel. The six bedroom, five bath 7,600 SQFT house is set on a half acre lot in the Mapleton Hill Historic District. 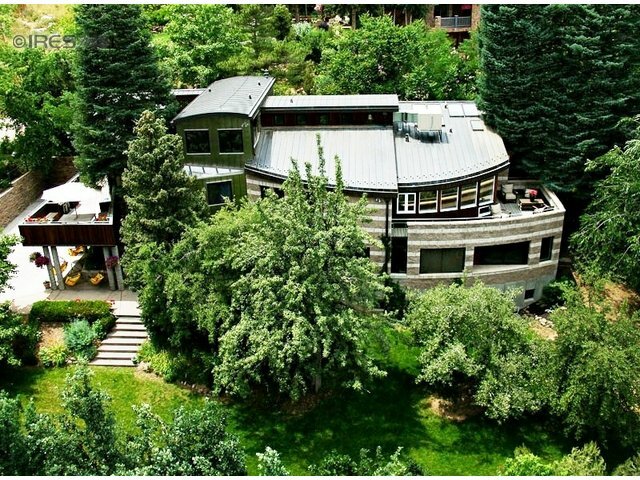 There are probably only a handful like this in Boulder and they almost never come up for sale, much less in such turn-key, ready to move in condition. It was on the market for 69 days before selling in November for $6.4MM. The buyer paid cash. No doubt, these ten homes represent exceptional real estate eye candy. But - were they worth what the buyer's paid? Are they worth it, Marley? In Boulder's real estate community, it's considered impolite to discuss such things without at least sloshing down a few margaritas at the Rio first. Let's just say that for a few of the above, I'm confident the purchase price will look dirt cheap down the road. I'm less confident above several others. Remember, just because it's pretty doesn't mean it's worth it. Maybe Boulder will become more like Aspen down the road but for now, exceeding $2MM for a home that is not nestled in open space (or downtown), or wasn't built around a stunning view, or doesn't at least incorporate features that bring the outdoors inside - is questionable. 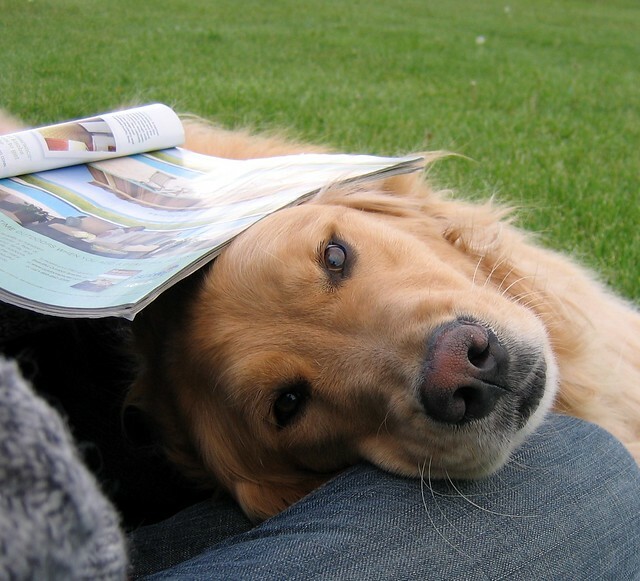 When I represent buyers, I act like an professional adviser. It's just how I'm wired. For homes missing these "value anchors," I would have encouraged my buyers to consider other assets or at least seriously underbid. Of course, people fall in love with houses. If my buyer still wants the house, I'll negotiate aggressively on their behalf, but I'll sleep better knowing I gave my honest advice. Note: I like to write entertaining and educational articles about Boulder real estate but my real business is being a broker. If you're looking for a professional, highly experienced agent to represent you on the purchase or sale of your next $2MM+ real estate investment, you know where to reach me. PH: 303.746.6896.